At Acusis, our business focus is to offer customized medical transcription services. As an industry leader, we are compelled by our overriding passion for continuous customer satisfaction that is driven by superior processes. That’s how we offer a comprehensive solution of integrated medical transcription services to various hospitals, clinics and physician practices. 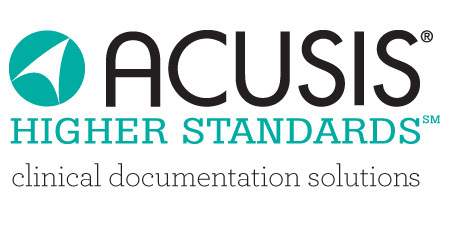 From initial design to the execution of services, Acusis demonstrates a distinctive edge! Our services are constantly evolving, as a result of direct customer input. Our proactive business approach coupled with our state-of-the-art AcuSuite® software helps to offer world-class service to our valued customers. Our customers appreciate the fact that we are always responsive to their needs. We are a Pittsburgh, Pennsylvania-based company, 100% focused on medical transcription services. We have a solid and well-recognized reputation for ethical and transparent business practices, with numerous national and local awards and recognition for our billing transparency and ethical conduct. After a career in high technology entrepreneurial software development, Bill Benter, Acusis Founder, executed his vision of creating a leading outsourced medical transcription organization with the inception of Acusis in 2001. 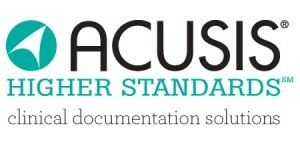 The large network of clients and transcriptionists within Acusis contribute to the continued software and people excellence that puts Acusis in a category of its own, providing medical transcription services with Higher Standards. Since inception, we have developed a global infrastructure to support a constantly growing distinguished list of nationwide customers. We have installed unique systems, procedures and employment policies to generate the highest quality transcription, consistent turnaround times of 24 hour or less with a reputation for world-class proactive customer service. Prior to obtaining our first customer, we researched and built AcuSuite®, the proprietary software that drives the entire dictation and transcription process. We have set ourselves apart from the industry by focusing on four service-driven cornerstones: Quality, Turnaround Time, Connectivity and Cost Containment. AcuSuite is not only user-friendly but it’s built with compatibility in mind. This allows us to utilize our in-house software team to build interfaces to and from a wide range of EMR’s and patient scheduling systems so our clients can benefit from an integrated solution with flexible options for fast document delivery via automatic printing, faxing, and emailing capabilities.